BCA provides students with balanced, delicious meals with portion sizes that ensure no child leaves the lunch room hungry. Please contact Tresha Noel with any questions you have concerning the hot lunch program at BCA. She can be reached at (281) 421-4150 or through email at tnoel@gobca.org. 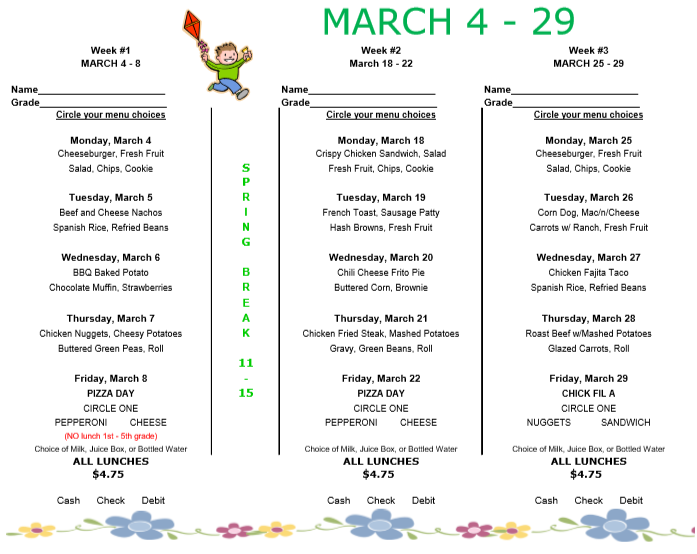 Monthly menus are located in the front office, or click here to download.